Chances are, if you have ever had a professional facial, you've experienced Bioelements. 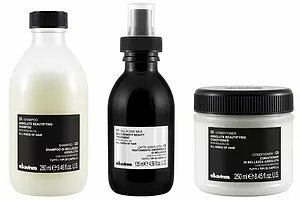 Since 1991, skin care specialists have been using these highly individualized formulas to treat the skin, target complexion concerns and discourage skin aging. 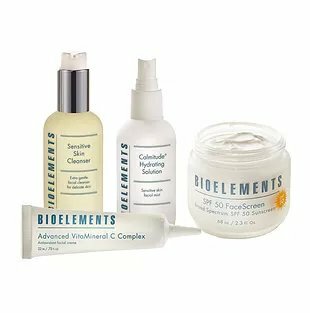 And, unlike ordinary skin care, each Bioelements product is a professionally created treatment designed to make a major difference in the appearance of your skin. Bioelements has been leading the skin care industry in professional product and treatment development since day one. They keep estheticians on the cutting edge of skin care science with the latest advancements in treatments and professional skin care products, and they have created anti-aging skin care products and formulas that have revolutionized the industry. They make sure every ingredient must meet the highest of standards, from organic botanicals and powerful antioxidant vitamins to lab-engineered probiotic actives and time-released retinol. And they only choose ingredients that get the job done – each one is scientifically chosen to deliver results above all else. 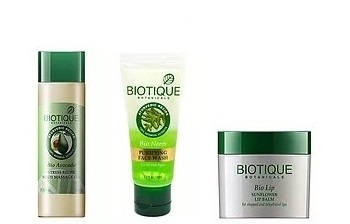 BIOTIQUE has a proud heritage that continues to produce unsurpassed ethical products to live by. Biotique treatments do not cover up problems—they eliminate them. With 100% natural botanicals. No chemicals. No preservatives. No animal testing. Even the packaging is eco-friendly and recyclable. Our ingredients are 100% vegetarian, biodegradable and dermatologist tested for safety. Biotique blends the powers of Ayurvedic healing wisdom with modern science to produce the very finest skin care products. BIOTIQUE is synonymous with serious skin care developed from Ayurveda. It embodies the collection of traditions passed down from generation to generation. They discovered that plants and plant extracts had startling effects on skin and hair. They understood that, in order to survive, society had to live in harmony with nature. and learned how to harness nature’s therapeutic powers to restore human beings to a state of perfect health…and agelessness. Moroccanoil set out to create the proper canvas for all hair care and hairstyling. Their signature product, Moroccanoil Treatment, is the perfect foundation for hair. Complete with both styling and conditioning benefits, this award-winning formula infused with argan oil creates long-lasting smoothness, increases manageability, speeds up blow-dry time and boosts shine. Pure Argan Oil by Moroccanoil Body™ is 100% pure, with no additives, colorants or preservatives. 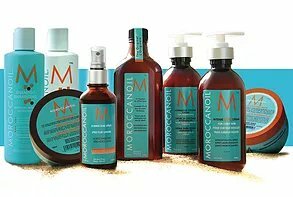 It is fragrance-free, and is perfect to use on your skin or hair for a luxurious and invigorating experience.Moroccanoil continues to be the leader in oil-infused hair and body products.